This entry was posted in News on 11/03/2019 by Hazel Johnson. This entry was posted in News on 04/12/2018 by Hazel Johnson. This entry was posted in News on 08/10/2018 by Hazel Johnson. This entry was posted in News on 24/09/2018 by Hazel Johnson. Join NHS Greater Nottinghamshire Clinical Commissioning Partnership to discuss the Treatment Centre and give your views. This entry was posted in News on 19/07/2018 by Hazel Johnson. This entry was posted in News on 27/06/2018 by Hazel Johnson. This week is Carers Week. See whats going on in your local area. This entry was posted in News on 13/06/2018 by Hazel Johnson. If you are looking after a friend or family member and would like some information, or access to support then you can drop in to see a support worker at your local GP practice. The GP practice which you are registered with will text out a reminder to all their registered carers a few days before each of their drop ins. If you are caring for someone, let your GP know and ensure you contact details are up to date. This entry was posted in News on 04/05/2018 by Hazel Johnson. 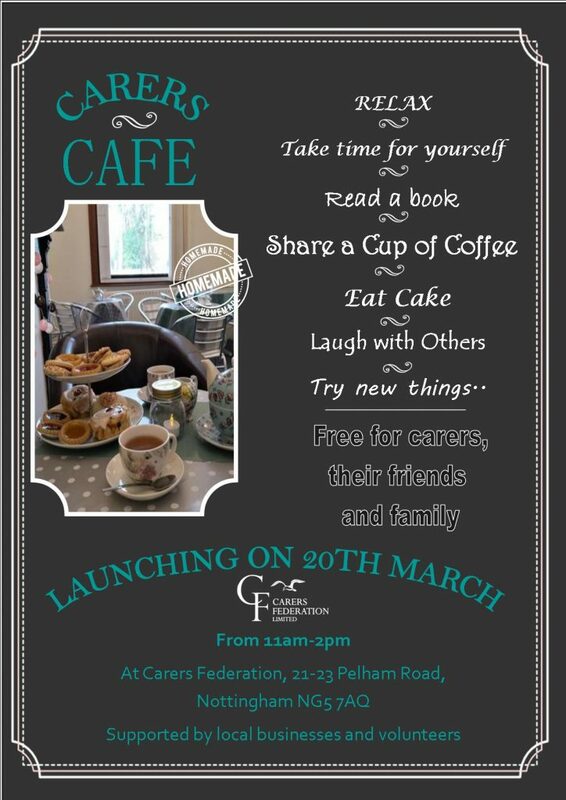 The Carer Roadshows are Free Events for all Carers. Go along to get information, advice and support and meet your local support services. There are roadshows across the whole of Nottingham City and County. See here for details of roadshows in your area. This entry was posted in News on 02/05/2018 by Hazel Johnson. This entry was posted in News on 05/02/2018 by Hazel Johnson.